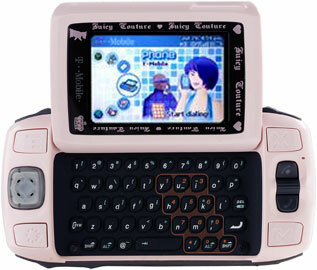 I've been meaning to get myself a new phone for the year and decided to splurge and get myself a Pink Juicy Couture Sidekick II. I knew it would be useful for work when I need to shuffle around town but it also looked like a fun way to keep me connected. Sure all the celeb it gals have one from Paris Hilton to Jessica Alba so in a way I kinda resisted....until now. I didn't realize HOW MUCH I was going to love it. I'm not so much a Juicy velour outfit kind of gal but I just like the fact that this phone/pda was just more fun and girly than all the other ones out there. I also don't really talk much on the phone besides "where are you?" or "I'll be home in 20 min" kind of thing. The phone comes with a earbud which I want to get used to using more. I'm off to Macworld this afternoon to check out if there are any more girly tech goods I can share. So far I heard that Casauri has a booth and is selling goods for 50% off. 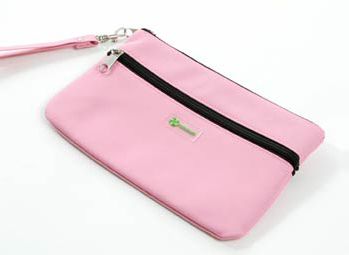 I want to get a small pink zip pouch to protect my new toy. Actual photos of my sidekick are here on my flickr.